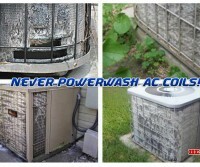 Every season your A/C coils should be cleaned. 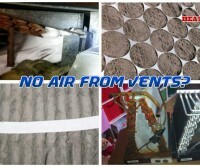 Whether it’s a buildup of leaves from the fall or pollen and dust from spring, not having proper air flow through the coils can potentially damage a unit. But, never power wash AC unit or A/C coils; read why here. What else can damage the coils on your air conditioning unit? Power washers. Power washers (or Pressure Washers) pump out PSI (Pounds Per Square Inch) by the thousands. Don’t be fooled by the smaller battery operated pressure washers, they too have immense pressurized water streams. While some things are OK for pressure washers, like removing gum and graffiti from concrete, they, in our opinion, are horrible for soft metals like aluminum. 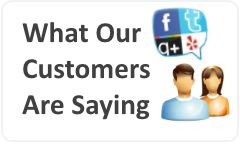 They are equally as bad for your wood deck – consult a deck expert about how to clean your deck and they’ll tell you the same. We’ve seen some AC coils simply warped right out of shape and have even seen a few that have had holes blasted through the tubing by power washing. 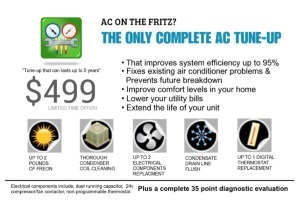 Let me tell you that replacing the AC coils can be expensive depending on the unit. Remove any plants or weeds which may have grown around the unit. Be careful of venomous snakes that may be lurking in overgrowth. Here is a link to spot venomous snakes: http://www.ces.ncsu.edu/gaston/Pests/reptiles/snakepix3.html – please be careful! Remove the top of the unit. This may mean lifting the fan assembly off as well. Be very careful not to damage the wires. Clean the fan blades. You can clean the blades with a small whisk broom or rag. At this point you can also lubricate the motor at points where designated. Be sure to follow the manufacturers instructions. Cover any electrical wires or motor with plastic. With warm water or a simple foaming cleaner (mixed with water), spray the AC coils from the outside liberally, let soak for 15 minutes. From the inside of the unit, spray water using a spray bottle, into the coils to push the dirt and debris out. Inspect the coil fins for any damage or bending. If they need to be straightened, use a fin comb to repair the fins. Fins that are laid over or bent, much like dirt and debris, will not allow proper air flow. Remove the plastic you placed on the wires or motor to protect while cleaning. Replace the cover and power up the unit. Cleaning of the air conditioner happens usually twice per year. If you live near cottonwood trees or have a lawn plagued with dandelions you may have to clean the AC unit frequently during the spring. Heat Wave NC only uses soft pressure to thoroughly clean your condenser and fins. 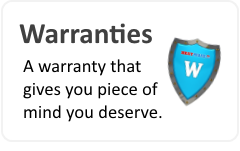 This service is also included in our Summer Tune-Up Package and also our Preventive Maintenance package. Contact our office today to schedule an appointment. What is Dirty Sock Syndrome? Dirty Sock Syndrome is generally caused by bacteria that collects and grows on the indoor coils of heat pumps and air conditioners. Dirty Sock Syndrome isn’t common and only affects .5% to 2% of homes. DSS is also more prevalent in heat pump systems. The smell of musky & dirty socks, locker rooms, hockey bags smell. The smell occurs when the unit is turned on and not used for a while. The bacteria spores are disturbed by air movement and the smell is from those spores breaking free from the bioslime. Basically, bacteria collects and grows on the coil during heating and is then released all at once when the indoor coil gets cool and damp. 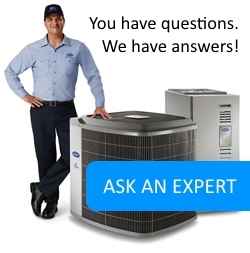 Heat pumps and air conditioners experience the problem when the air conditioner is turned back on after heating. The North Carolina pre-fall and spring climates can require heating your home or office in the morning then using the air conditioning system in the afternoon causes a perfect storm for this odor to occur. Once the problem has been properly diagnosed and identified, our technicians can take action by first starting with a thorough cleaning of the units evaporator coil. Our A/C repair technicians will also clean dirty drain pans and drain lines if applicable. While cleaning will bring the system back to normal, some systems cleaned too early in the season or a unit having more issues may have Dirty Sock Syndrome repeat itself, especially if the weather in our area forces you to switch your thermostat from heating to cooling and back again. It’s best for those in your home that you get the unit serviced straight away. If you have allergy sufferers, this could be a cause for concern.